Tournament officials have determined the final field size and purse distribution for this weekend's 20th NTRA National Horseplayers Championship (NHC) Presented by Racetrack Television Network, STATS Race Lens and Treasure Island Las Vegas. Thursday's Last Chance/First Chance qualifier, hosted by Treasure Island, added 15 seats to this weekend's main event and contributed to the cash prize pool. 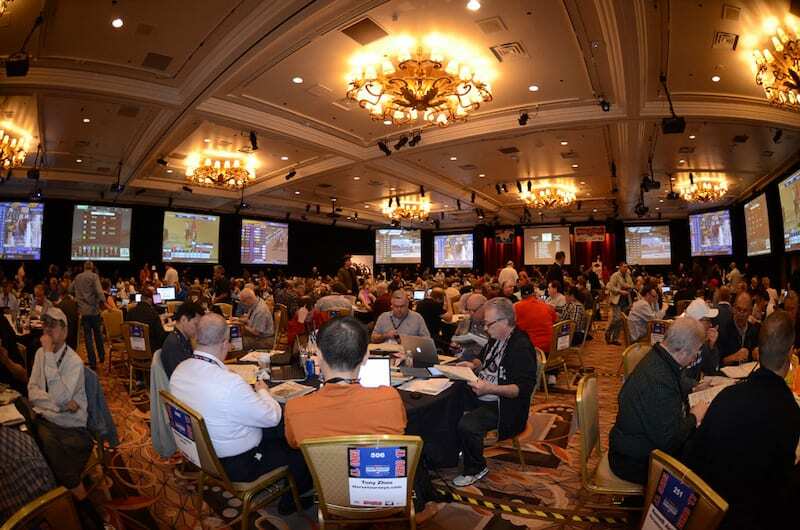 A total number 668 entries, second largest in NHC history, will compete at this weekend's NHC. There are 522 individual players, including 146 that are “dual-qualified” with the maximum two entries. A total of 118 rookies will be testing their talents in the NHC for the first time. The final cash and prize distribution for this year's NHC is $2.863 million, second highest in NHC history, with a first-place prize of $800,000. In addition to guaranteed spots to this weekend's NHC, Thursday's contest also offered three spots to the 2020 NHC with Darryl Mays, Chris Podratz, Robert Engelhart earning those berths. The full list of Last Chance/First Chance qualifiers are: Scott Fitzgerald, Frank Foss, Brian Kubik, John Nichols, Jimmie O'Nail, Daniel Perry, Pete Rogers, Frank Klich, Scott Boudreaux, Vineet Sharma, Mathew Baiungo, Michael Labriola, Scott Cavalieri, Jared Black, and Christopher Dewey. This entry was posted in Horseplayers, NL List and tagged Handicapping, handicapping tournament, horseplayers, national horseplayers championship, NHC by Press Release. Bookmark the permalink.